Who knew that fog could be beautiful? I always thought of fog as something that limited my view of my surroundings. 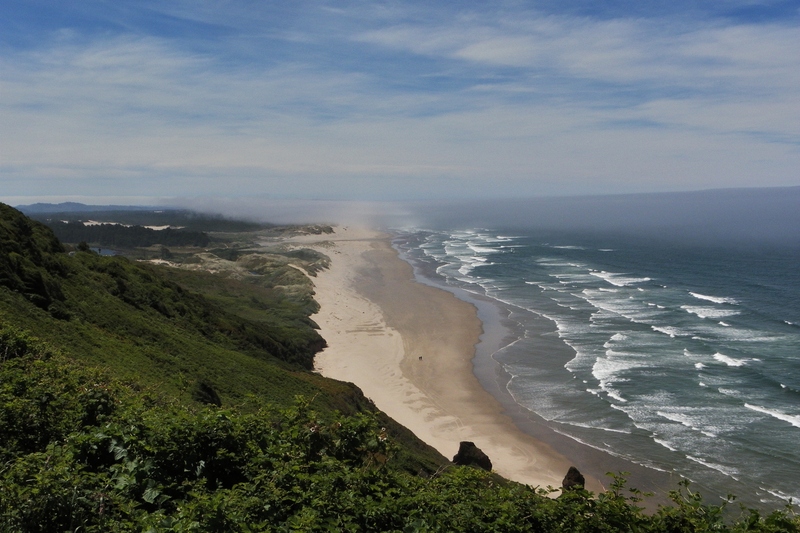 But, yesterday on the Oregon Coast, the fog was gorgeous! I was the passenger so I got to enjoy it a lot more than the driver. But, everytime I saw what I would have photographed, there was no place to pull off Hwy 101. The first thing I noticed was a dark grey fog bank off the coast. There was blue sky above me but you could hardly distinguish the difference between the fog and the ocean and you couldn’t see the horizon. The ocean was as flat and still as we’ve ever seen it. The only line was between the dark grey fog bank and the blue sky. I wouldn’t describe it as ominous because we were basking in the warmth of the sun. It just sort of hung out there over the ocean. 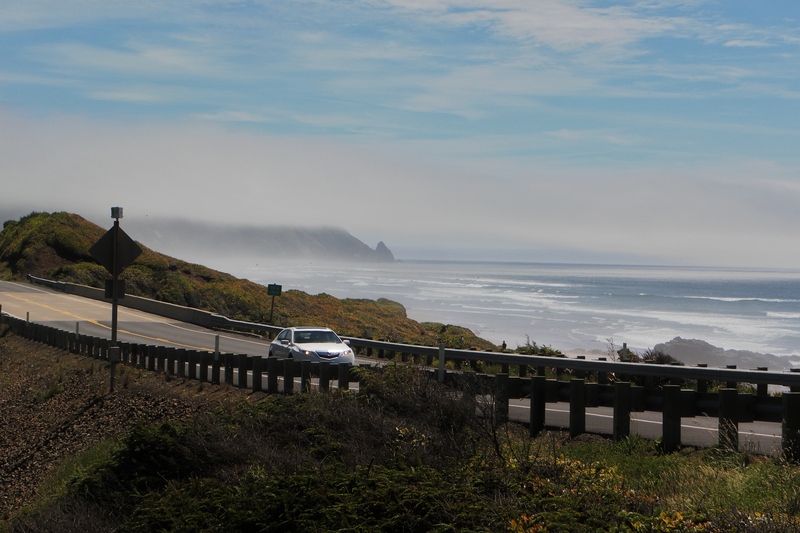 As we travelled south, on Hwy 101 from Yachats, we are higher in elevation. We could see where parts of the fog bank was lifting up over the mountains. It looks like it turns white as the floor turns from water to land. This isn’t the prettiest view we saw but it’s the best of the photos I was able to get. The line you see between the sky and water is actually between the sky and fog. The horizon cannot be seen through the fog. Back-at-the-beach…I wanted, so bad, to run out to the beach for more photos. But we were so tired and hungry that I thought I’d better warm up some left-overs for dinner first. 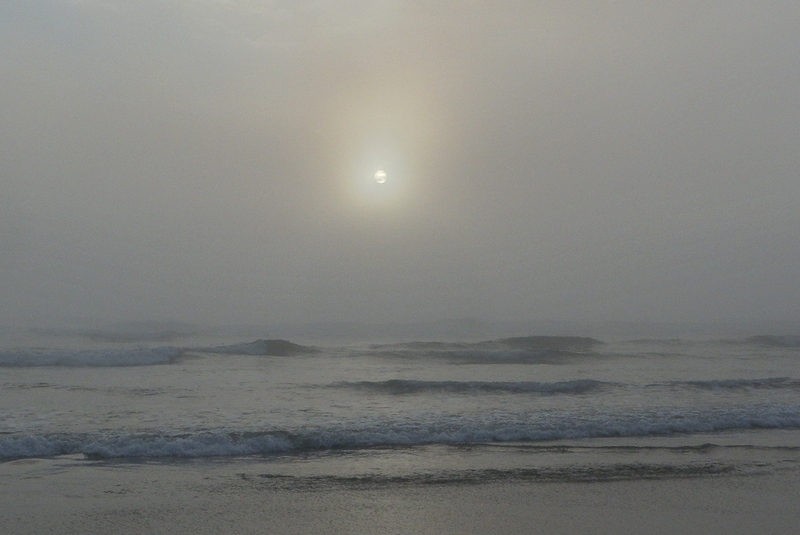 By the time I got out to the beach, the fog was onshore and the sun was just falling behind the fog layer. So I hunted for agates and went back to the 5th wheel before dark.